Herlin Riley travels all over the world teaching master classes at many major universities, but he rarely had the opportunity to teach the youth from the place where his musical soul was born. So, in March 2013 he started Krewe De Riley. 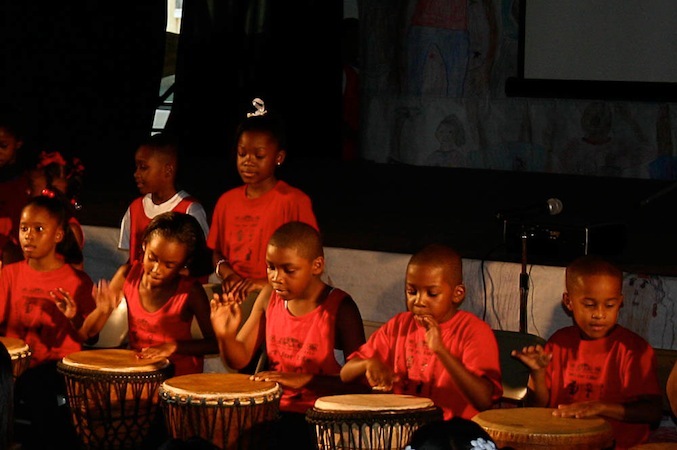 It is a mentorship program that educates the youth of New Orleans about the art of jazz drumming with an emphasis on the drumming styles of New Orleans. Krewe De Riley also emphasizes the importance of developing our community with culture and creativity by exposing students to culture and the arts and enhancing their ability to be creative thinkers. We want to motivate students and give them a voice to express themselves verbally and musically, as well as, appreciate the expressions of others. The youth of Krewe De Riley meet once a week for lectures and demonstrations from the master drummer himself and often attend local jazz events in and around New Orleans. Life is the inspiration of art; and artistic expressions should inspire lives as well as those in the community and throughout the world. Herlin wants to feed the cultural and artistic realm giving students fluency in various forms of drumming, so they may be able to use drumming/music to work with life challenges. Krewe De Riley is currently accepting applications from any students between the ages of 4 -18 years. This program is free of charge for the students.